Right now, with the spread of the Swine flu virus reaching new heights, a lot of us are looking for natural ways that we can reduce our risk of catching this, or other seasonal flus, as they spread. The problem is that the supply of the flu vaccination at this time is insufficient to meet the demand! In the meantime, those of us with our names sitting on waiting lists for the next supply to reach our local doctor’s office are looking for alternative ways to stave off infection. There are 3 pathways by which a flu takes hold in the body…. The second pathway, infection, refers to the replication and spread of the virus within the host body. This means the virus particles create more of themselves until the body becomes overwhelmed. The third pathway, inflammation, is what casues all of our symptoms. When our immune system senses that the body is being overrun with an invading “force”, it responds by releasing a flood of cytokines into the body (commonly called a “cytokine storm”) to ward off the invader. 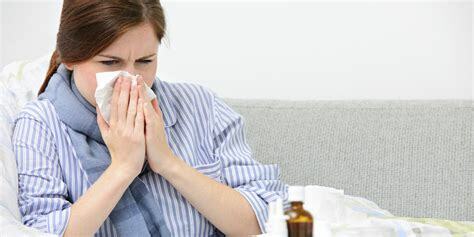 Unfortunately, though the cytokines are just doing their job in producing the inflammatory response which will eventually drive the virus out, it comes at the cost of symptoms like chills, fever, body ache, nausea, diarrhea, mucous that fills our lungs, etc. Ultimately, it’s not the FLU that is responsible for causing fatalities; it’s our body’s overzealous coping process. The important thing to realize is that preventing any of these pathways from beginning in the first place will prevent you from getting the flu. To prevent transmission from ever occurring, it’s important to fortify your immune system with the proper transmission inhibiting nutrients to prevent the virus from binding to your DNA. Two great transmission inhibitors are green tea polyphenols and quercetin. These are your first line of defense in protecting your immune system from being DIS-armed by the flu virus. The flu virus infects the cell by matching to a cell receptor called Hemagglutinin. Hemagglutinin (the “H” in H1N1) allows the virus to gain entry to the cell and mutate the cell DNA so it can breed an infection. It also permits the newly mutated DNA to be incorporated into surrounding cells and through cell lines. Hemagglutinin describes “infection” with the flu. To prevent the infection process from occurring, there are two powerful natural inhibitors of Hemagglutinin that you can take: green tea polyphenols and ginseng (Panax and Eleutherococcus). Though a popular practice by people seeking natural relief is to reach for the Vitamin C and the Echinacea to “boost” the immune system, it’s actually a better idea to inundate the body with more immune system modulating nutrients to fight the inflammation. This goes back to the Quercetin, Green tea polyphenols and ginseng mentioned earlier on. Nopalea juice is a unique nutritional beverage made from the fruit of the Prickly Pear Cactus. It contains an abundance of the Quercetin bioflavonoids called Betalains which help attack or prevent Inflammation. Adaptogen blend is another nutritional beverage made from a variety of stress-fighting plant extracts. It contains 2 types of ginseng (Panax and Eleutherococcus) which will help in balancing the immune system and preventing the “cytokine storm” from ever occurring. Basically, it keeps your immune system calm, cool and collected, while it works toward fighting any invaders in your system. Energy Now supplements is a nutritional supplement capsule containing transmission fighting green tea polyphenols to help your body resist infection. For those looking for supplements their children can take to prevent influenza, I can tell you that my 8 year old son takes 1 ounce of both Nopalea juice and Adaptogen blend daily without side effects. I would urge you, however, to check with your child’s physician before giving them to your own child.